From January 2018, our product range in the field of beam cutting machines will be expanded. 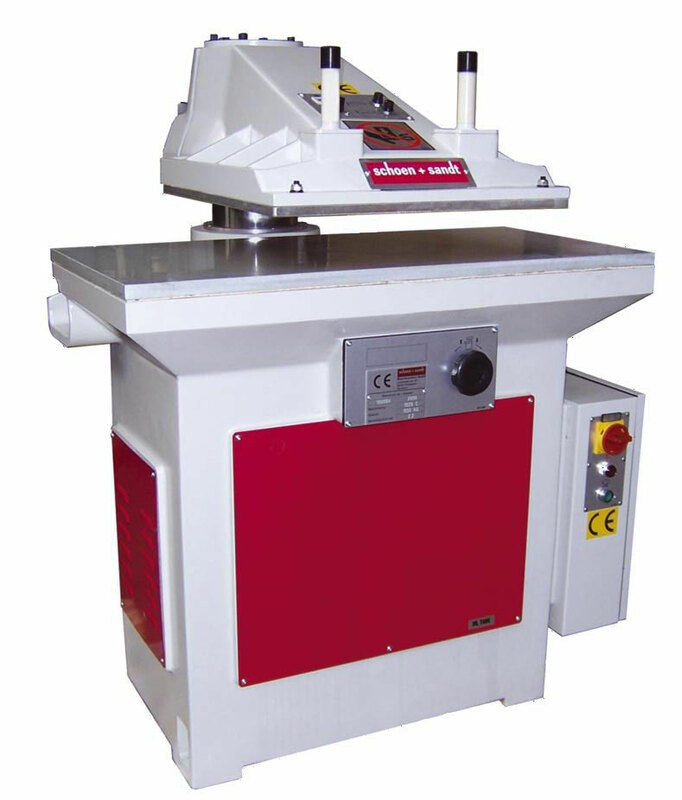 Model RCB - beam cutting machine with receding head - is available in 3 different sizes. and 2000x1000mm, 160 tons cutting force. Further informations as well as product data sheets follow soon. If you want an offer, please do not hesitate to contact us. From mid-2017, our product range in the field of beam cutting machines will be expanded. 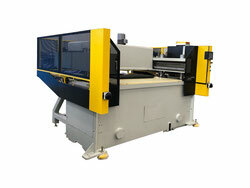 Model KLB - beam cutting machine with cutting belt system - will be available in different sizes. Fundamental to the machine are our massively built MC/AC/DT types, which can be extended with cutting belt system. schoen + sandt machinery GmbH is joining forces with CGS to take a strategic quantum leap together towards further internationalizing its business. CGS is taking on a majority stake in schoen + sandt and together with the current managing directors Jürgen Schneider and Bernd Heitzmann, it will dynamize the company’s development. Add-on acquisitions will build a strong industrial group operating around the world. 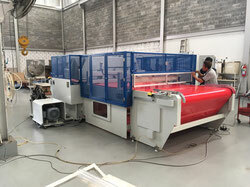 Manufacturers of die-cutting machines for non-metallic materials and embossing and shoe machinery are facing constantly evolving customer demands. They must demonstrate flexibility and provide services at their customers’ doorsteps. In this environment, schoen + sandt would like to expand its international presence in its customers’ global markets with local production and service facilities in order to meet their needs faster and more flexibly. An international position also offers medium-sized businesses greater opportunities and schoen + sandt would like to capitalize on this potential together with CGS. schoen + sandt was founded in 1867. The medium-sized company now has around 250 employees and three subsidiaries — in Pirmasens (Germany), Eger (Hungary) and Boston (United States). schoen + sandt is a leading manufacturer of die-cutting machines for non-metallic materials and embossing and shoe machinery. In 2007, the company was acquired by a small group of private investors. They have decided to sell a majority stake to CGS, which is becoming its strategic partner for internationalization. The former owners will however retain a stake in the company and support the creation of a global group together with its current management and CGS. CGS is an independent, experienced industry partner specialized in building medium-sized companies into international groups. Since 1999, CGS funds have been investing in industrial companies in German- speaking countries and making add-on acquisitions worldwide.